In January 2016, the COPD Foundation, with a grant from the Academy of Country Music’s Lifting Lives Foundation, partnered with Saint Thomas Rutherford Hospital in Murfreesboro, Tennessee to offer “Harmonicas for Health” through their pulmonary rehabilitation program. The initiative focused on the use of harmonicas to help their patients feel better and breathe better. The idea was a simple one: encourage people to practice the Pursed Lip Breathing (PLB) technique, and exercise their ‘breathing muscles.’ When PLB is done regularly, it helps to remove carbon dioxide from the lungs and it also helps to create more space in the lung for bigger, fuller breaths. Playing a harmonica is the perfect way to get people to practice PLB without realizing it. By blowing out into the tiny holes in the mouthpiece, COPD patients are practicing the PLB technique and getting the benefit while having fun. By breathing in through those same tiny holes, the person begins to exercise and strengthen their breathing muscles. And the best part is they don’t have to read music or have any musical experience to practice. As our planning group prepared for the program, we anticipated having around 6-8 people attend the first meeting. We were pleasantly surprised when we had 24 individuals present at the first class. The group met once a week, for an hour each session and practiced the material in the Player Handbook we provided. The handbook came with instructions on how to play, how to ‘read’ the music, and information to help a person with COPD understand how this program is designed to help. 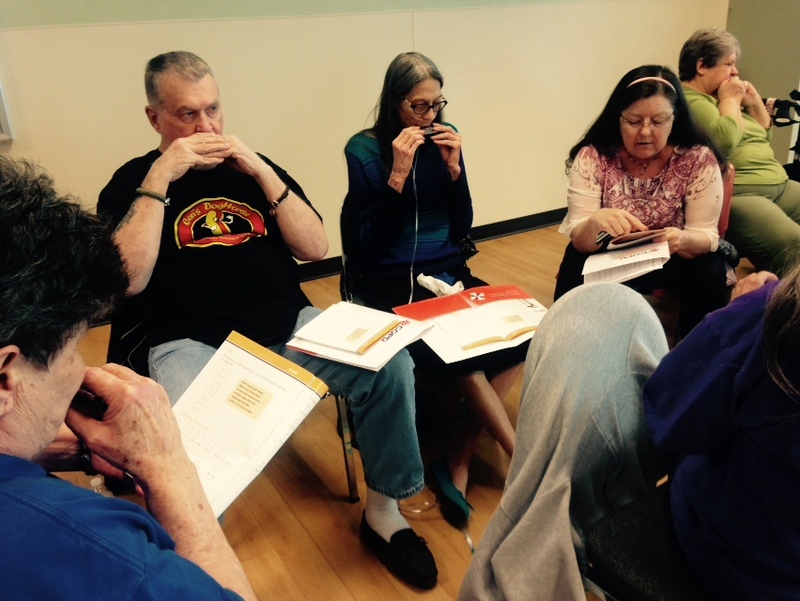 In addition to helping the person practice their PLB, the Harmonicas for Health program had some additional benefits. You have likely heard the saying, “Music is good for the soul”. This was played out every week during the sessions. Even though we were playing simple tunes, the class members were proud of the music they were making. As the group began to learn new songs, and take them home to practice, they would come back each week eager to share stories of their practicing experience or playing for family members. These stories were often shared with laughter and broad, beaming smiles. These moments of laughter and ‘missed’ notes, of sharing and making music have created a close knit group of friends who genuinely enjoy getting together and playing the harmonica. 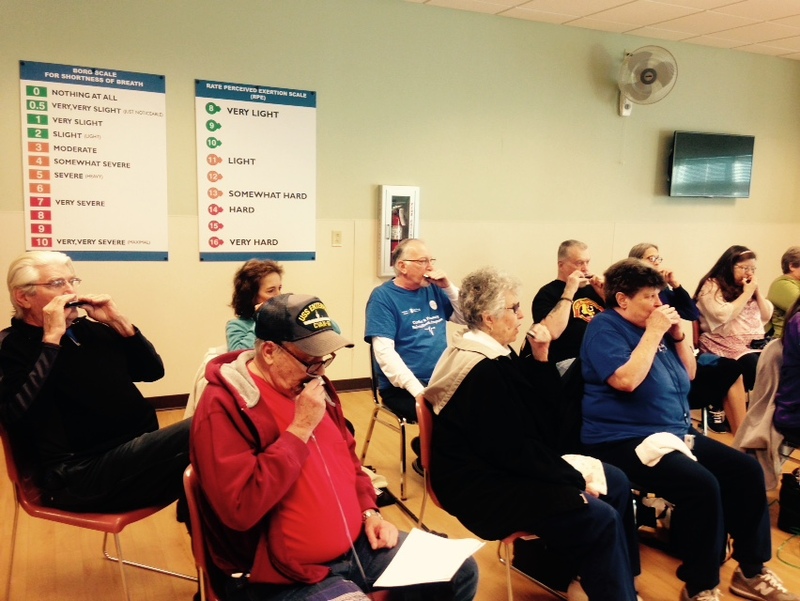 The experience with Harmonicas for Health in Tennessee was a new one for all of us. They knew they were having fun. I knew they were practicing helpful breathing techniques. We worked hard and laughed hard. And as I look back over these last few weeks, I am proud of the work the group has done and I’m so glad I was part of it.